A great proposal won’t win you the business on its own. But a poor proposal can undo a lot of the work done up to that point, or even cost you the deal. 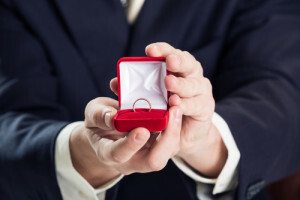 Here are four considerations to make sure your proposal ends in “yes”. People view major buying decisions with anxiety.You can reduce anxiety and minimize any perception of risk by demonstrating that you understand their problems, issues, needs, opportunities, objectives, or values. Whatever is driving the client’s interest, show that you understand it and have based your solution on it. After all, you wouldn’t suggest marriage after just the first date; it’s likely there have been conversations around shared goals and common plans – you both have an understanding of what a future union would entail. Where will you live? Are kids in the future? If those future plans aren’t clear, there may be some hesitation to say “yes”. Yet, surprisingly most sales proposals don’t contain a solution recommendation at all, and merely just describe products or services. Instead, offer a recommendation that explicitly links the features of your product or service to the client’s needs to show how the client will obtain positive results. This is your value proposition. Remember you may write a proposal that is completely compliant with the customer’s requirements, that recommends the right solution, that even offers the lowest price, and still lose. Why? Because a competitor made a stronger case that their approach offered something that happened to matter more to the customer. Would you want to enter a marriage with the feeling that there are plenty of other fish in the sea? It’s unlikely; make sure your sales proposal stands apart with your unique value. You want to show the substantiating evidence that answers the question: “Can they really do this?” Stay focused on the areas the customer cares about with evidence like case studies, references, testimonials, and CV’s of key personnel. Just like in marriage, there must be mutual trust in the other for a happy, fruitful relationship – make sure your proactive proposal achieves that. The role of the sales proposal in today’s buyer-centric world has become increasingly important. Proposals, as with all sales documents, must align with buyers’ decision making criteria as well as differentiate you from the ever growing competitors. You may be convinced of a happy marriage in the future, but first, get your proposal to end in “yes”.